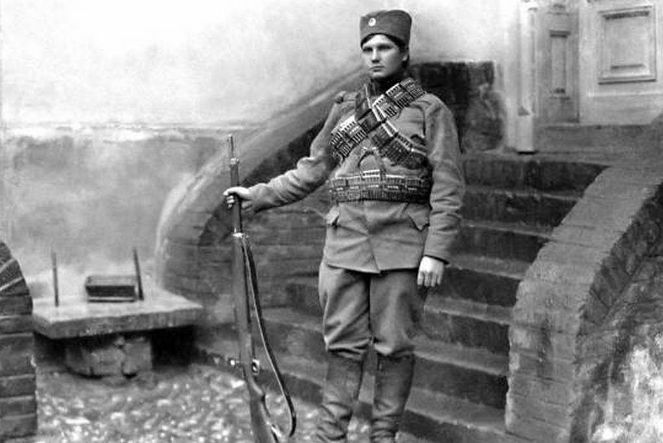 Milunka Savić is a largely unknown Serbian woman who just happens to be the most decorated female in the history of warfare. Despite unbelievable acts of bravery and heroism, Savić died penniless and nearly forgotten. This is her story. Unfortunately the role of women in the history of war is largely ignored, set behind the scenes to support their men on the battlefield. During the Balkan War of 1912, in a scene straight out of Disney’s Mulan, one Serbian woman took it upon herself to head straight for the frontlines, risking her life for her family and country. 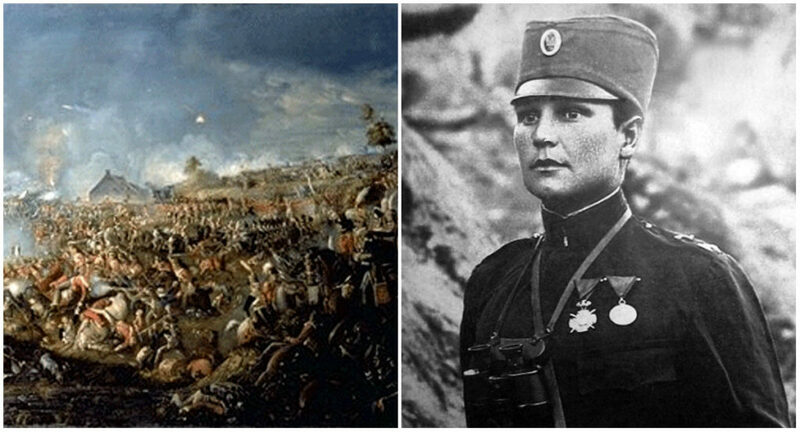 Her name was Milunka Savic, and she is known as the most decorated woman in the history of warfare – a title that unfairly fails to match her tragic end. Before her miserable end, Milunka Savić lived a proud life. Born near Novi Pazar in the late 19th century, she grew up in a village of less than 20 people. This background makes it even more impressive that she was able to trick everyone and make her way into infamy. Her brother got called to the army to serve in the First Balkan War in 1912, but Milunka took it upon herself to cut her hair short and take her sibling’s place. She was extraordinarily successful, if such a thing is possible in war, picking up medals and taking part in nine missions before anyone discovered her gender. Milunka had avoided any wounds in sensitive areas, but during her 10th mission, Bulgarian shrapnel made its way into her chest. The game was up, and Milunka was sent to her superior for an almighty rollicking. Her commander wasn’t overjoyed at the idea of getting rid of her, as Milunka had proven to be a committed and competent soldier, neither of which were in great supply at the time. He eventually decided to transfer her to the nurse’s division, but Milunka refused. She stood her ground, and after an hour of waiting, she was told to get back to camp and continue fighting the enemy. Boy did she fight. Milunka was one of the best Serbian soldiers of her generation, famously managing to capture 23 confused Bulgarian soldiers by herself. She fought in the two Balkan Wars and also took part in World War I, coming out of the international conflict with an absolute treasure trove of medals and awards. Those medals came from all over the world. France bestowed upon her the Croix de Guerre and Legion d’Honneur, while Russia stepped up by placing the Cross of St. George around her neck. Great Britain provided the Medal of the Most Distinguished Order of St. Michael. These honors are just a sampling of the awards that made her the most decorated female in the history of warfare. France went so far as to offer her a comfortable retirement, but Savić decided to stay in Serbia. She eventually moved to Voždovac, a suburb of Belgrade best known for having a shopping centre with a football stadium plonked on the top of it. Despite being an international heroine, Savić was quickly pushed to the back of humanity’s minds during the interwar period. World War II soon arrived, and Savić reconciled with not being able to fight by organising an infirmary that provided aid to the Yugoslav Partisans. She was imprisoned by the Nazis for her troubles, but she managed to survive savage conditions and return to Voždovac following the war. Savić was given a state pension, but that was as good as it got for the military hero. She continued to make a difference, adopting a number of children off the street, but she eventually suffered a stroke in 1972 and died penniless in Voždovac. Savić was a truly extraordinary woman whose life was defined by combat, but she was simply unable to fight forever in the face of neglect. 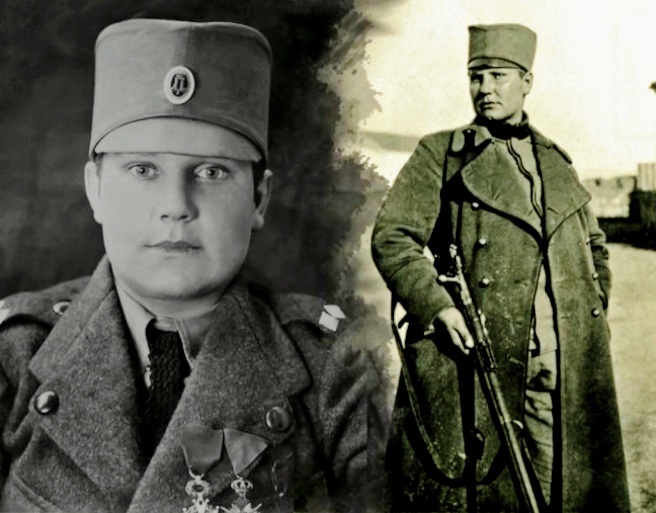 As a human being, let alone the most distinguished woman in the history of warfare, Milunka Savić deserved more than she got.